After weeks or perhaps even months of hard work, the moment has arrived: you will be launching your new website! You are excited and happy your website is finally online. Now you can begin to harvest and start selling your services or products. But the disappointment soon kicks in: you check your statistics regularly and you notice that there are very few visitors visiting your website. What’s going on? Why is your website not attracting any visitors? It’s the biggest frustration point a new website owner will encounter: how do I attract more visitors to my new website? If you want to get more visitors, leads or customers fast, you can hire an online marketing agency or use Google Ads to advertise. But most website owners have already invested in a website and don’t want to spend more money on an online marketeer or agency. Well, there is good news: you can also work on better findability for you new website yourself, without investing a lot of money. You do however need to take into account that you won’t be seeing much progress after just a couple of weeks. It’s a matter of patience. If you want to attract more visitors to your new website, you will need a long term strategy. But how? I will explain it in this article. A first step towards more visitors for your new website is placing comments on other websites. Every time you place a comment on someone else’s blog, forum or community, you become more visible on the internet. Other people see that you have placed a comment and might want to know who you are or what you do. There is often also the option to place a link to your own website on that other website. This will increase the chance of someone else clicking through to your website. Especially with popular websites with a lot of traffic it can be interesting to place one or more comments. These have to of course be comments on websites that match your own branch or topic. Because you obviously want a very specific group of people to visit your own website. Make sure that the comments add value. A comment like ‘Great article, I totally agree with you’ is nice, but doesn’t show what you could possibly do for other people. Try to showcase your expertise to make sure others remember you. You can see that my comment has been viewed more than 1000 times! You can also see I have placed a link next to my name which refers to my own website. This way other readers can easily click through to my website. Everyone emphasizes on the fact that – when you start a new website- you should also use social media. With all the bustle of starting a new company, there is not always time for this. That will come later, is what I often hear. And often you see people start posting on social media with enthusiasm, but after a while it becomes a drag and they stop. But social media platforms are a great way to present your new website. And it’s completely free to use. Don’t just sign up for social media channels that you already know, but look for 1 or 2 that really fit you or your company. If you for example like to post photos (with small text), then Instagram would be a good choice. Instagram is one of the most popular social media channels of this moment. But of course you can also choose Facebook or Twitter. The biggest plus with social media – even more than with a website- is that it can be shared easly. It’s a free platform to put yourself in the spotlights even more and to generate even more traffic for your new website. The big plus with social media is that you don’t need to write long texts. It can be short, powerful and you can make time for it just an hour a week. And then you can for example plan all of your social media posts for the upcoming week. It’s a matter of discipline. Publishing content on social media is good, but publishing content on your own website is even better. The more quality content (that others are looking for) you place on your website, the bigger the chance that someone will end up on your website. Writing a blog is still one of the best ways to add content to your website. But it requires discipline. It’s quite a challenge to write a blog every week, even I can’t do that. You can also write a blog every month or quarterly. And if you write a blog quarterly, then make sure you do it right. Try to choose a topic which there is a need for, something you know a lot about (and others don’t) and write a long article about it; with more than 2500 words. Once Google discovers this is a unique article which people are looking for, there is a big chance that your article will end up high in the search results. And you will be reaping the benefits for years, because Google will keep sending new readers to your article. Also keep updating and renewing that one article. Edit it, add some text or another image, treat it as one of your website’s gems, which requires a lot of attention. One great written, interesting and informative article is much more valuable than 10 average articles of which there are already so many out there on the internet. If you want to know which articles score well in the search results, you should use Google Analytics. It’s always good to measure how your website performs. Also do this in the first months to find out which pages are popular. And pages that fall behind are the ones you can improve. When I launched my new website, I spent a lot of time in the first weeks to adjust and edit the content on my website. Sentences that didn’t run smoothly, a few spelling mistakes here and there, adjusting a header or making the contact form a little more inviting. By editing the content, you also get a better view on what you website is about, which group you want to target and your mission. You get a better feel about the website and you start seeing the real value of your website. Not everyone likes to ‘tweak their website’. It’s technical, something they don’t have a knack for, something could go wrong, it’s not fun; these a often heard reactions. Turn these negative thoughts into positive ones. Look at what a website can do, what it can bring you and how much fun it can be to work on your website. The more intensively you work on it, the more fun it becomes. Really! And you will find out that the energy you put into it, will eventually attract more visitors to your new website. Now that you are tweaking the content, you should also pay a little attention to the internal linking of your website. Internal links are links within your own website. So you refer in a post or on a page with a link to another page or article within your website. By linking internally, you invite readers to click through to another article within your own website. This will keep your visitors on your website longer. When you have a network of internal links, search engines will appreciate this, because a decent structure with a lot of links adds more value for the reader. One of your most important tasks in the first year is that you get as many backlinks to your website as possible. Backlinks are links from other websites to yours. The more backlinks you have, the higher you will rank in Google and the more visitors you will get. These other websites should have some ‘value’. Value means that they attract a lot of visitors, are popular, have valuable content or exist at least a few years. You can for example ask within your network or customers that you work with if they will place a backlink on their website referring to yours. You will have to be a little creative, because the link shouldn’t be placed just anywhere on another website. It needs to be placed in a natural and accurate context. A good example is what I have done in this article with VanWieringenWerkt, which was named earlier. This company is mentioned and linked to in this article. And because WPjournalist is an often visited website, the link to this website counts for extra. Because the more popular the website is, which provides you with a backlink, the more value it gives for your website. Optimizing your website is often not a part of building the website. Obviously, because this is often a much longer process which you can do yourself. SEO, or Search Engine Optimization. Often a SEO plugin like SEO Yoast is installed, but you will then have to get to work yourself. The plugin shows exactly (at the bottom of an article) how to optimize an article. How do you handle the SEO for a website? You shouldn’t want to optimize the entire website in once. Start with a few pages or posts every week and optimize them with the help of the SEO Yoast plugin. And when you optimize, I want to give you one tip: always write a META description of a post or the page. The META description is the piece of text which you see in the search results. Pay a lot of attention to this, because this way you can easier convince readers to click on your link and end up on your website. There is a special entry field in the SEO Yoast plugin to fill out this META description. 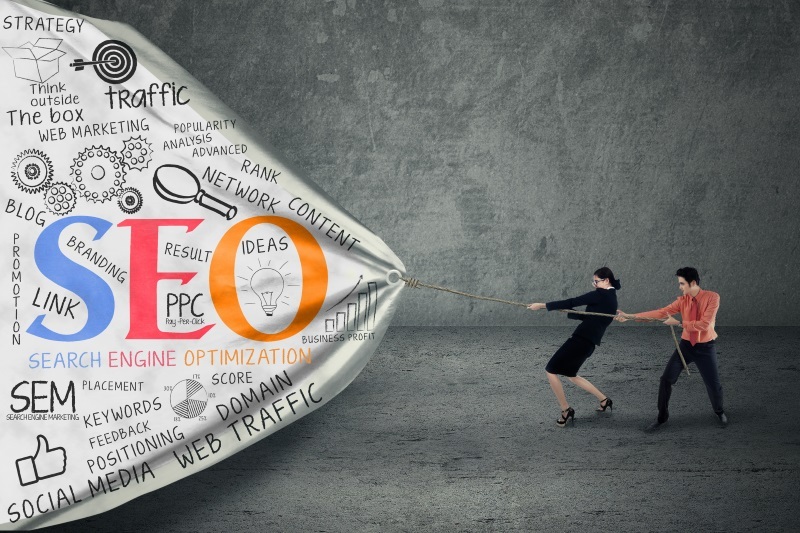 If you want to know more about SEO, you can also read the article Is SEO dead in 2019? No, it’s evolving. Not everyone is a good writer or likes to write. So how do you get good content for your website? There is a good solution for that: invite a guest blogger. Ask a business partner or a customer to write something. It’s really a win win situation, because on the one hand you will get good content for your website and on the other hand the guest blogger gets a chance to present themselves. If you’re not that good at writing longer articles, you could also consider to create a knowledge base. This will however take a lot of time to create, because you will need to write a lot of (short) articles. A knowledge base is an online encyclopedia with various articles about one topic or one area of expertise. A collection of articles about one main topic. The knowledge base will form a separate part of your blog, for example in your menu, your sidebar or the footer of your website. If you want to know more about this, you should read the article Create a knowledge base for your website, the ultimate guide. Once there is a need for the topics in your knowledge base, you will see significant rise in your visitor numbers. If you want to attract more visitors to your website, you will have to work at it. And it really won’t have any effect after just a few days. Working on your visibility on the internet calls for a long term strategy. I myself have been working like this for a couple of years. I started this blog in 2015 and it had very modest statistics in the beginning. The first two years I tried to improve something every week or expand something on the website. Where I only grew gradually with WPjournalist in the first two years, I saw a significant progress in 2018 and my visitor numbers doubled.